More than 20 years of WORDUP PR history from the very beginning in the 1990s until today you can read in our WORDUP PR Story. Learn more the development of an innovative PR agency in Munich and get to know our our topics and skills. Click on the right to open a CV of PR consultant Achim von Michel. Following his studies in the fields of communication science, IT and psychology, in the mid 90s Achim von Michel laid the foundations for WORDUP Public Relations in Munich. Up until 1998, he initially worked exclusively for the Bayerische Landeszentrale für neue Medien (BLM) – the regulatory authority for commercial broadcasting in Bavaria. From 1995, he worked as a PR officer for Bayerische Medien Technik GmbH, a subsidiary of the broadcaster Bayerischer Rundfunk and the BLM. From 1998, he developed WORDUP PR into an international full service Public Relations Consultancy in Munich. Since 2017 an office in Berlin completes the service portfolio of WORDUP PR. In 1999, Achim von Michel initiated the annual European Digital Radio Conference, which last took place under his leadership in 2003 at the Hilton Munich City with over 200 participants from 18 nations. Cooperation partners such as WorldDAB, DigiTAG and the Initiative Marketing Digital Radio (IMDR) helped to shift this event into the limelight of the global DAB and DVB-T scene. With specialist publications and PR projects, such as for the technical management of broadcasters Bayerischer Rundfunk and Bayern Digital Radio GmbH, WORDUP PR was a part of the digital broadcasting scene in Germany for many years and was instrumental in shaping the changeover from analogue to digital. Since then, one of its major focuses has been innovations in the field of information technology. Companies such as the world-leading storage solutions manufacturer Network Appliance (NetApp) or American Power Conversion (APC), as well as SmApper Technologies and INSYS Informationssysteme have entrusted WORDUP with the creation of their customer newsletters and mailings thanks to its impressive textual skills. By the end of 2009, the customer base included Ray Sono AG, an associated company of SIEMENS. Through his study of IT as a minor subject and long-standing, intensive involvement with Internet technologies, SEO/SEM and social media, WORDUP Managing Director Achim von Michel brings IT-specific expertise to the agency. In 2011 and 2012, the agency’s portfolio was enhanced by the addition of the online marketing division of Schober AG Switzerland. From 2014-2015, WORDUP PR has acted as a consultant for the Salzburg-based Cooperational Excellence, which is due to launch an innovative, web-based collaborative network for organisations in the spring of 2015. Also in 2015 WORDUP PR started to consult US startup SimpliVity (rated 100 Mio. US Dollor plus. The mission was to communicate the advantages of hyperconvergent IT infrastructure solutions to the German Mittelstand. Following initial experiences with the engine manufacturer MTU, in 2001 WORDUP PR Agency Innovation received a large order from the aerospace industry – the accompanying PR work for the roll-out of the 728 regional jet from Fairchild Dornier. Around 500 guests and journalists from around the world were present at the unveiling of the jet in Oberpfaffenhofen, near Munich. Deutsche Telekom AG also relied upon the subject-specific expertise of the agency in relation to the launch of the digital broadcasting technologies DAB and DVB-T in 2001 and 2002, through its subsidiary T-Media Broadcast. Since 2002, a new set of topics has joined the field of activity: copyright law and intellectual property. By order of then-President Dr. Ingo Kober, WORDUP PR established the new communications department of the European Patent Office (EPO). The retirement of EPO President Prof. Alain Pompidou, held in Munich’s Allerheiligen Hofkirche and with 300 invited guests, was also planned and implemented by the agency. Regular projects in the field of internal communications made the Public Relations Consultancy a reliable contractor for the EPO for over eight years. Another very important intellectual property event was held in 2004 at Deutsches Museum in Munich for the German Federal Government. Among the speakers were former Chancellor Gerhard Schröder as well as former Justice Minister Brigitte Zypries and former SIEMENS CEO Heinrich von Pierer. From 2007 to 2013, WORDUP PR was the European PR service provider for the international translation services provider MultiLing Corp. based in Provo, Utah. MultiLing specialises in the translation of patent documents into over 30 languages, employing a team of around 1,200 staff around the world. Alongside the PR work in the D/A/CH region and other European countries, the agency was also responsible for technology and all content of the corporate blog. For over eight years the agency has taken care of all PR work for VG Wort – the Word Exploitation Corporation. Since 2006, the Munich-based Patentpool Group has trusted in the expertise of WORDUP PR, and the German Institute for Inventions, which each year awards the oldest German prize for innovation – the “Dieselmedaille” – has done the same since 2009. In the past two years the companies EUROPATENTDIENST, based in Berg am Starnberger See, and WURZER & KOLLEGEN have enhanced the customer portfolio with their international approaches to IP strategy for medium-sized businesses. Since 2016 WORDUP PR is responsible for all press relations in Germany for US company Anaqua, which is specialized in innovative patent management IT solutions and acts as a global market leader in this field. With its own conference series, WORDUP PR has promoted Anaqua several times since 2017 as a sponsor of high class Patent management events with up to 50 qualified expert participants in Munich and Stuttgart. These projects and others for GEMA, the German Patent and Trade Mark Office and the Federal Ministry of Justice have since turned WORDUP PR into a recognised PR expert in the fields of copyright law and intellectual property. Financial services PR represents another focus:: From the specialist in automated credit solutions afb Application Services AG, to financial service providers such as Bankhaus August Lenz (Mediolanum Banking Group), the manufacturer of automated trading systems Ravenpack AG, to banking IT specialists such as C1 Fincon, Cadis and the medium-sized business financing specialist capFlow AG. In 2012, the agency was responsible for the PR work for yavalu, the largest German provider of exchange-traded funds (ETF). In 2013, WORDUP PR drew the attention of the Munich-based Lehel Industry Group. Targeted foreign investment of medium-sized businesses is the focus of their newly founded associated company Lehel Invest Bayern (LIB), whose founding partners together boast over 60 years of experience in investment management. With quotes from Lehel Trade Partners (LTP), WORDUP PR has also recently dealt with the advance financing of orders for medium-sized businesses. In addition, 2014 saw WORDUP PR bring the specialist content of Klako Group to the German-speaking market. The Klako Group consists of a team of over 120 national and international tax consultants and management consultants based in 10 offices in China, Hong Kong and Singapore. With the introduction of the new, mobile payment system Payconiq, WORDUP PR has been supporting a spin-off of ING Bank in a pioneering FinTech project since 2018 with a comprehensive PR campaign, which is not coincidental comes on the scene with the start of the entry into force of the European Payment Service Directive (PSD2) Union. In addition to extensive reporting in the banking trade press, in daily newspapers and large business magazines, Munich blogs, local influencers and social media channels (Instagram) play a key role in this project. Active business communication in the globalised world requires a high degree of networking with target groups and media. As the press spokesperson for the Bundesverband mittelständische Wirtschaft (BVMW – The German Association for Small and Medium-sized Businesses) in Bavaria, since 2006 Achim von Michel has also been a public figure as a political and journalistic functionary of an association with over 270,000 associated members worldwide. The focus is on the political, economic and social concerns of medium-sized businesses, which create over 97 per cent of jobs in Germany. Since 2011, Achim von Michel has also been responsible for the political regional management of the BVMW in Bavaria and oversees the state economic senate of the association in that state. His duties also include providing interviews, such as those in the main news programmes of the broadcaster Bayerisches Fernsehen, as well as holding lectures at the internationally renowned German Council on Foreign Relations, the Bavarian State Parliament and together with the Mayor of Munich at Munich Town Hall. Since 2014, the largest PR customer from medium-sized businesses has been the Schlemmer Group, based in Poing, near Munich. With a global workforce of over 2,600, the company generated revenues of more than € 270 million in 2015 in the three business sectors automotive, appliances and industry. In 2016 the agency consulted Krieger+Schramm, Construction Company that has expanded to Munich with the new company Krieger + Schramm Wohnbau Munich. DYNAHAUS, an innovative scientific project focussing on energy efficent home construction was in focus of this mission, accompanied by partners such as Technical University Munich, BMW, Fraunhofer Gesellschaft and others. WORDUP PR has underpinned its extensive knowledge in the customer segment of medium-sized businesses since 2012 through the independent online magazine mittelstandinbayern.de, which provides daily reports on key news and developments in medium-sized business within the state – supplemented with nationwide and international perspectives as well as guest contributions on current issues. Over 500 articles had already been published on the digital platform by the end of 2014. Lastly, the WORDUP PR also regularly provides its consultancy services to companies and institutions that focus on cultural and social activities – often at significantly reduced rates. Successfully completed cultural projects include consultancy to the Karl Böhm Foundation for the promotion of highly talented musicians, local press assistance for the musical highlights of concert organiser BB Promotion, and the foundation and positioning of a summer theatre academy in Switzerland. The highlight of 2010 was the social integration project of the Institute for Applied Cultural Education at the Willy Brandt comprehensive school in Munich. When it comes to social projects, WORDUP PR can look back at collaborations with the Lauterbacher Mühle Foundation and the German subsidiary of the international aid organisation Médecins du Monde. At the start of 2012, a cooperation was agreed with the European Foundation Advisors (Dr. Towa-Christina v. Bismark). 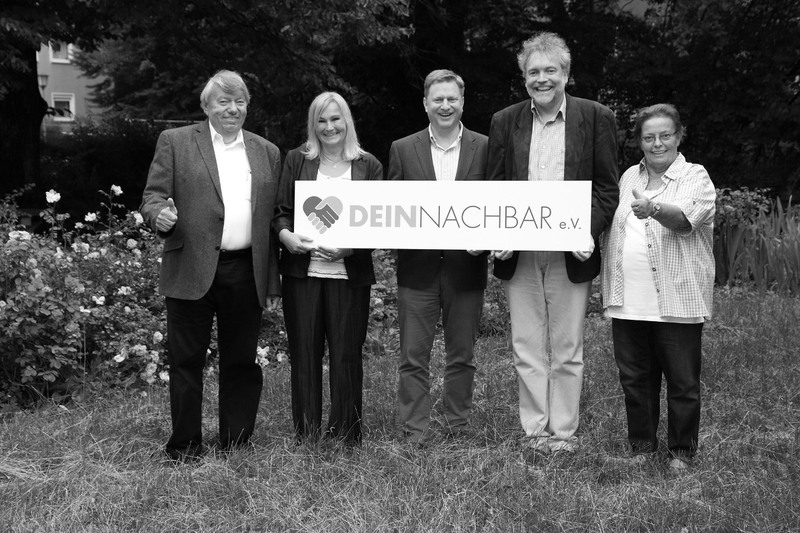 In 2015 WORDUP PR consulted the social network DEIN NACHBAR e.V. that focusses on social and medical care for the elderly. Successfully held large-scale events, including those attended by former German Chancellor Gerhard Schröder, also make the PR agency a creative and reliable partner when it comes to the conception and implementation of events, press conferences, congresses and other high-level functions. 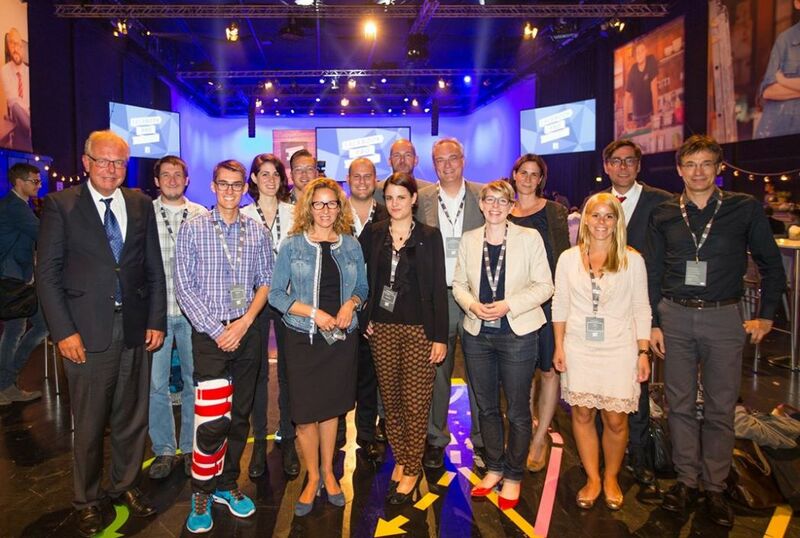 These projects include the planning, implementation and all PR work of the annual Dieselmedaille event, held in the Hall of Fame of the Deutsches Museum in Munich in front of over 200 guests from the worlds of politics, economics, culture and media (2010 to 2014). In 2013, the PR work surrounding the Dieselmedaille event reached a readership of over 5 million in the daily press as well as in specialist publications. IN SHORT: PR EXCELLENCE ….. SINCE 1994!